Authors, Actors and Visual Artists form a cooperative which creates theatrical energy. Authors create words for actors to speak against a backdrop which creates the illusion of somewhere, a place where a story flows with ideas, character and visual images. This unique festival in Memphis offers literary, theatrical, & visual arts workshops for both the novice and experienced. Learning creative craftsmanship, offers the spirit within us all to blossom. This festival spotlights the spirit of imagination through reading. 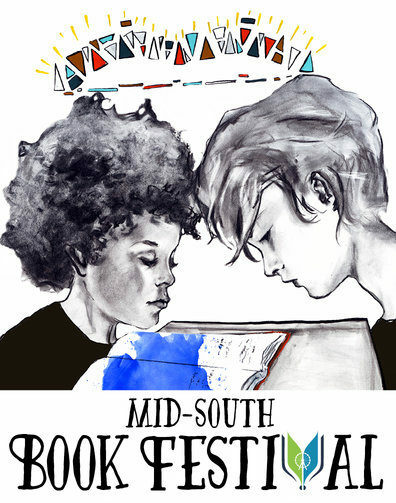 Aimed at educating and encouraging youth to read and author books, this festival will bring together hundreds of book writers, role models and teachers of the literary craft. You are invited to join us for this informative and fun filled weekend. Bring the family, meet your favorite author and buy his/her latest book. Introduce your friends to the wonderful world of literature. Mandate that your children read at least two books per week while encouraging them to read more. Take the time to read with them and have dinnertime discussions about the books that you have read. Among the writers selling and signing books, will be several celebrity authors who will speak on the topic of helping our youth to overcome adversity by reading and reading often. Reading is so important and it is the nexus to achieving, sustaining and following a good career path in life. Too often our young people are lead astray by bad behavior in the community and sometimes in the home. Education is the key that will unlock the iron clad gates to opportunity and point those without destinations in the right direction. The authors will be setting up under the tree shade in the library garden and along the parking lot. Genres will include such things as non- fiction, fantasy, romance, history, mystery in adult, young adult and children’s books. This year the Book Festival is highlighting five local authors who write about hiking. This year a Children/Young Adult Workshop will give feedback and encouragement to writers in 5th to 8th grade. We will evaluate the young writers’ work and present ideas on editing with the goal to publish their writing into a book. Teachers will share research tips and discuss the on-line publishing process. The workshop filled quickly with the maximum fifteen participants, and is now closed. Children’s activities will entertain the young children throughout the afternoon. This booth on the lawn in the garden will feature teachers reading stories. Each child will be able to make their very own book using stamps. Non-fiction: Real Books. They say truth is stranger than fiction. These authors tell stories they didn’t make up: stories of things that really happened. Exotic Times, People, & Locales. Other times and places fascinate readers. Join these authors who write about them and learn how they research to get it right and write it to pull you in. Pitch Advice. Some of our panelists have agreed to meet with aspiring writers and talk with them about their work and how to present it to agents and editors in order to grab that publishing contract. The Long Conversation. Join the authors for an informal discussion of books, writing, reading, and publishing. Creating Memorable Characters. Readers often argue about whether plot or character is more important in creating beloved books. These authors discuss how they create characters you love—or love to hate. Many Current Choices for Young Adult Readers. Dark or sunny, romantic or adventurous, realistic or fantastical: Writers today offer readers “in the middle” some great choices. Join our YA authors to talk about books and get some for free! Comics & Graphic Arts. Join us to learn about comics, drawing, and working in the field. What Makes a Genre, & Which One Do You Read? Genres, subgenres—what are they? When you look for a book, it helps to know what the industry calls what you like. Are you a cozy person or a noir fan? We’ll help you figure it out. Romance between the Pages. Stormy courtships, intriguing secrets, happy ending–romance is a wildly popular genre with a wide range of heat levels. Join these romance authors for a run-down, from sweet to Oh My! Travel significant distances to go to a book festival. Make unplanned book purchases at the festivals. Try a new author or genre because of meeting an author. Increase their book buying after the festival is over.